Additionally, the SNES Classic Edition is “currently planned to ship from Sept. 29 until the end of calendar year 2017,” but they don’t have anything to say about shipments beyond this year right now. Original Story: Following a report earlier this year, Nintendo has officially announced that the SNES Classic Edition console is releasing on September 29 for $79.99 USD. 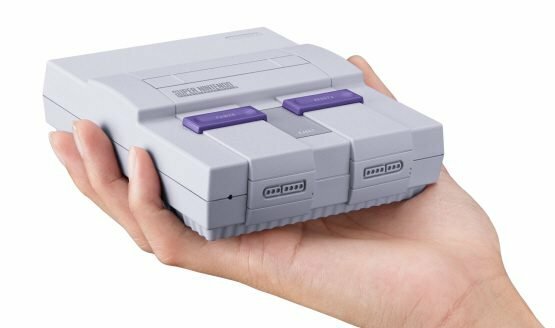 It’s smaller than the original Super NES and includes 21 pre-installed games, one USB charging cable with AC adapter, two wired controllers, and an HDMI cable. The most surprising of the 21 games is Star Fox 2, which was never released anywhere. It will be unlocked after completing the first level of Star Fox. While many people from around the world consider the Super NES to be one of the greatest video game systems ever made, many of our younger fans never had a chance to play it. With the Super NES Classic Edition, new fans will be introduced to some of the best Nintendo games of all time, while longtime fans can relive some of their favorite retro classics with family and friends.